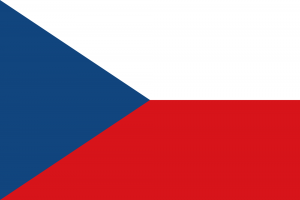 Four times the Czech Republic has featured in the Eurovision Song Contest prior to this year and on every occasion, they’ve failed to progress past the Semi Final stages of the competition. In 2007 and 2009, they even placed last in their Semi Finals. Understandably, they chose to sit out the competition between 2010 and 2014, but returned last year, placing 13th in the Semi Final. While failing to progress through to the Grand Final, they did achieve their best-ever Semi Final result; 13th. So… no pressure in 2016, Gabriela Gunčíková. No stranger to TV singing competitions (having placed second in ‘Česko Slovenská SuperStar’ back in 2011), Gabriela will perform in the first of this year’s semi finals, but the placement for the Czechs isn’t great; virtually slap-bang in the middle of the pack. So, she’d better bring it. The song’s pretty strong… a soaring ballad that will allow Gabriela plenty of opportunity to showcase her vocals. How the rest of Europe will vote, we’re not sure. But if it was up to us (at this stage of our Countdown To Eurovision coverage), we’d pop her through to the Grand Final with dix points.